IV Therapy Gramercy: Does IV Therapy Beauty Work? Does IV Therapy Beauty Work? 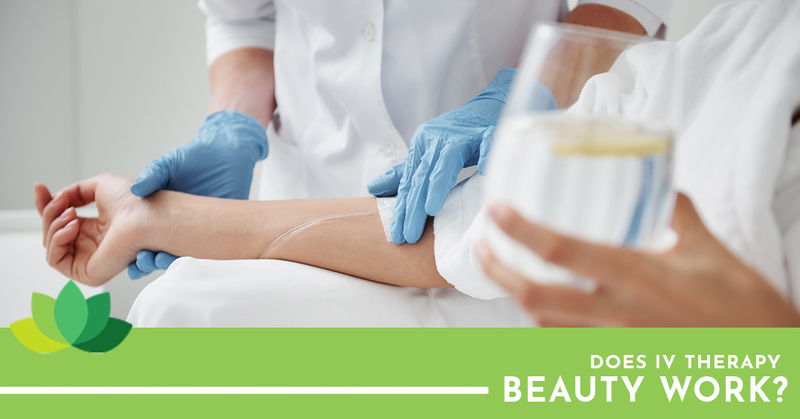 While the concept surrounding IV Therapy is relatively simple, it’s hard to wrap your head around how exactly that can be applied to the beauty industry. Sure, Nicole Kidman’s skin is artificially glowy and supposedly Parisian women never look tired simply because their skin care regimens are that good, but is any of that real? In short, yes, but perhaps not in the manner you think. You can absolutely buy Chanel out of skin care products and still have skin that acts up because if there’s something wrong beneath the surface, there’s not much you can do for that. But now, with the ease of access to IV beauty therapy, there might actually be something that you can do to help your skin stay as sharp as possible for as long as possible. Does IV therapy really work? Let’s explore. There are a variety of types of IV therapy and all of them are for something different that might be making you feel down throughout the day. You can get one to cure a hangover, one to boost your immune system on the latter half of a cold, one to increase your libido, even, and a rejuvenating IV therapy that can revitalize your tired skin from the inside out and re-establish a baseline for your skin. The regenerating IV therapy generally incorporates a rich variety of amino acids, EDTA— known as a molecule that can detoxify, as well as a collection of B vitamins. Because the treatment is administered through IV therapy, you can absorb around 90 percent of the nutrients you’re encountering where when you ingest those same things orally, the digestive process limits that intake to about 50 percent. A beauty IV therapy can easily brighten your skin and provide all over hydration. So not only can you access that holiday glow you want so that you can look like a little snow bunny as you tromp through the harsh winter weather without a spot of sunshine to brighten your mood or your skin. It also, aids in detoxing your body as well as your skin alongside strengthening your nails and hair. In fact, there’s a whole line of studies and beauty bloggers that have shouted about IV therapy from the highest mountain tops, exclaiming that their hair specifically has never been better since starting up an IV therapy schedule. In many different beauty IV treatments, there are a few main components that have direct effects more than their auxiliary contents like the saline that carries all the nutrients into your bloodstream. The vitamin C that’s extremely concentrated, specifically, aids in collagen synthesis which will cause your skin to fill in on its own. It helps vitamins A and E to regenerate within the body which heals scars and assists with your own natural anti-aging effects. The glutathione brightens the skin and gives the dewey European quality everyone wants to your skin. It influences how your body is producing melanin. Instead of producing more dark melanin, it inspires light-pigmented melanin. Lastly, one of the main ingredients by the name of niacin creates ceramides, or natural lipids, that help your skin retain moisture. These act much like collagen which goes in and fills in fine lines, adjusts uneven skin tone and builds up the skin’s moisture barrier. Don’t let the winter weather get you and your skin down, come find out what all the hype is about IV therapy. Schedule your new treatment with Dr.Bronfman, a trained and experienced medical professional today.